DocLC had the most liked content! Have a great time. The group cruise should be fun. I've done the itinerary twice and loved it. It's one I could do again, and again, and again. Enjoy! Have a great Christmas at sea. Remember, you don't need to cook or help clean up the dishes. Enjoy our B-day at sea. Happy anniversary. A great ship for Alaska and a great time to go since the crowds will be gone! Can't think of a better ship to cruise Alaska on than the Ovation. Enjoy. Say hello to the group cruisers as you disembark. Enjoy your cruise. Added! You're now on the list! Have a great time. Actually, I think it may have been my fault. You'll notice that it was in the right place in the list, just missing the "1." My wife and your wife should meet. She's in the same boat (pun partially intended). She's not a fan of sea days and while we have the group cruise booked, we also have another booked that only has one sea day. My guess is that the other cruise will win out. Wave to one another as you're embarking/disembarking. 😉 Added with the edit! Have a great cruise. I've yet to cruise with my in-laws, but I keep trying to get them to go with us. Enjoy! You're now on the list! Great ship and a fun port to cruise from. Make sure to stop by Buckees on the way. 😉 Listed as 2019. Enjoy your cruise. Your cruises have been added to the list! Happy anniversary and you're lucky to be going on two fabulous ships. If you give me the embarkation date and the ship's name I'll be happy to add it to our master member cruise list. Great name! I've added your cruise to the list. All have been added. I'm booked on the Anthem GC, too, but it's competing with a Celebrity European cruise I have booked. Decisions, decisions! Welcome back to cruising. The type of cabin doesn't matter. What matters is that you're back on a ship. Your cruise has been added to the master list. Your cruise has been added. You've picked a great ship. As for your questions, post them to the general message board and you'll get a ton of responses. Bring sunscreen, your swimwear in your carry-on so you can enjoy the pools while waiting for your luggage to arrive, other swear by magnetic hooks to place on the wall. I like your style of cruising. Four different classes of ships in one year. I'm also booked on the Freedom group cruise and I'm looking forward to it as I love San Juan and the Souther Caribbean. Have a great cruise. Alaska is awesome. I've been twice and could back numerous more times. All have been listed, but I feel compelled to inform you that there are other ships in Royal's fleet. 😉 I also want to come up with a jingle based on the fact that you're sailing L-O-L-L_O Have a great cruise! As of 8:13 Pacific tonight, all have been added to the list here: I did it in three parts to make it more manageable. Thanks, everyone, for your patience. I didn't think I'd be gone from the boards as long as I was. Have a great cruise. I'm booked on this one as well, but might be jumping ship for a Celebrity cruise in Europe. Have a great time. 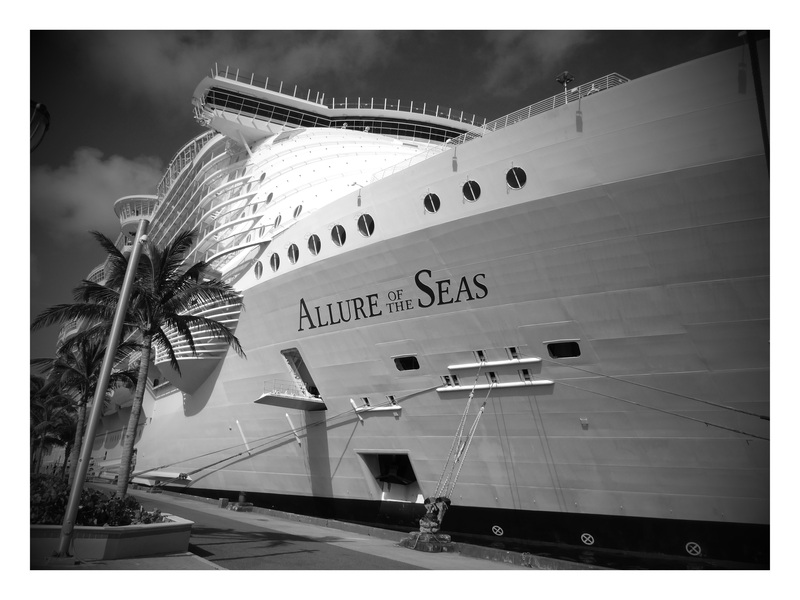 Have a great New Year's cruise. Added! Posthumously added. Hope you had a great cruise. Bermuda is on my bucket list along with the Panama Canal. Sorry I missed posting your cruise. 😞 Have a great cruise. Looks like a great ship to sail on. Listed. Have fun! Great itinerary. Hope you have good weather. It's a great time to cruise over there because there are hardly any crowds. Have fun celebrating New Year's onboard. Great ship. Hope you enjoy it. They've all been listed. I'll see you onboard the group cruise. We're making this one a back-to-back. Have a great time. I hope you enjoy Royal as much as the rest of us. Both have been listed. Added posthumously. Hope you had a great cruise. Added to the list. This is going to be the longest year in your life. Hope you're having a blast on the cruise. At least I was able to add it before you disembarked. Enjoy your first Royal cruise. Love those moments! Your cruise has been added to the list. Have you looked here: https://www.royalcaribbeanblog.com/cruise-compass ? Two of the three were already listed. The third is now listed. Have I told you that I like your style of cruising? 😉 I hope you're enjoying your cruise! Listed. The Serenade is a great ship. If you're lucky, you'll have Joseph as the chef overseeing the Windjammer. The best in the fleet. Thread locked! Please remember that we are here to provide useful information to one another. While we may not always agree and/or may interpret the rules differently because of inconsistent enforcement of said rules, please be conscientious when replying to others. It is one thing to disagree politely with another; it's another when emotions become involved. Remember, there are real people behind these posts. I'm pretty confident they'll have one. In nearly every Royal Caribbean cruise I've done, they've had one. Yes as I live in California and have cruised to San Fransisco. Unless you're on the bay, the weather can be quite warm, but I'll also admit that I was thinking San Diego as SAN was used in the thread's title and SAN is the airport code for San Diego. Expect it to get warmer as you travel south. A jacket will likely be needed in the beginning, but you'll end the cruise with short/t-shirt weather. If bet the reason it was removed from the Mariner is because of the short sailings she does. It may not have been as popular ok such short cruise or not practical to offer with everything else that needs to be staffed onboard with regards to entertainment. Dominica is a great port. One of my favorite excursions of all times was there going through the rain forest, seeingg waterfalls, and river tubing.